For more than half a century, the familiar Southern accent has been fading in Raleigh. Its disappearance has been so slow and so subtle that locals may not even have noticed. But for Robin Dodsworth, an associate professor in sociolinguistics at NC State, the decline tells the story of rapid social change across the urban South. After having had such fun with the Structure Sensor I borrowed through the N.C. State Libraries Technology Lending program, I suggested that they consider lending quadcopters like the DJI Phantom 3. 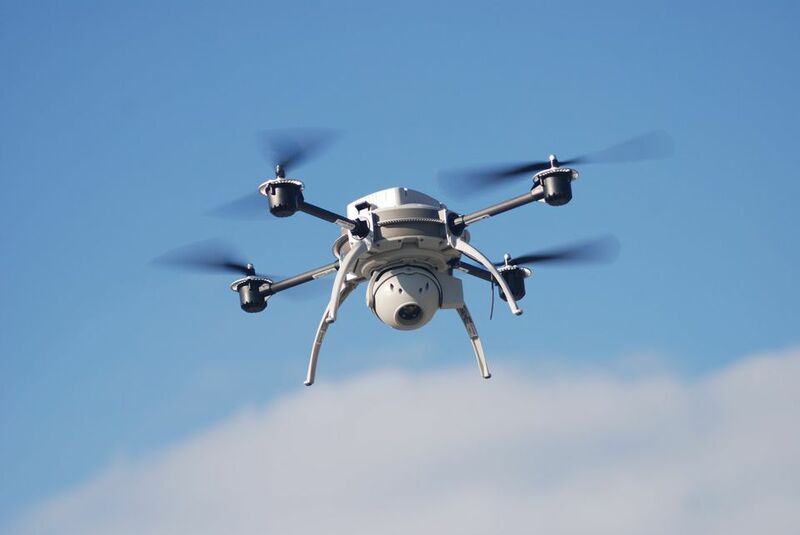 Drones like the Phantom 3 are so cutting-edge that they are far ahead of Federal Aviation Administration regulations, so much so that many common-sense uses of drones (or as the FAA calls them, “unmanned aircraft systems” or UAS) are currently banned outright. 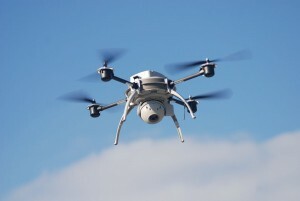 Like other university libraries, N.C. State Libraries would love to lend out drones but the present legal limbo with the FAA prevents that from happening. You see, what many people don’t realize is that the FAA is in charge of the nation’s airspace from the ground up. Not just 500 feet and above but starting at the ground. Public property, private property, it doesn’t matter. If you fly anything, anywhere, the FAA makes the rules. As an employee of a company located on N.C. State’s Centennial Campus, I have access to the tech lending program of the N.C. State libraries. 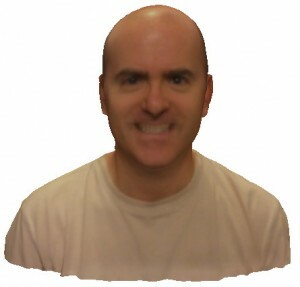 One of the more interesting devices I found there two weeks ago was a 3D scanner kit consisting of an iPad Air and an Occipital Structure 3D Sensor device. Not knowing much about it I thought I would take it home for a week and see what it could do. The sensor integrates with the iPad by using the iPad’s built-in camera in conjunction with the Structure sensor. The sensor paints the scene in front of it with infrared grid points. The sensor then detects how this grid is bent by the object in the field and, together with the iPad’s sensitive accelerometers, computes the dimensions of the object. All of this happens in seconds and it’s quite amazing to watch! Here’s a fun look at the hidden history of Reynolds Coliseum, recently brought to light by the university’s renovation work. Andy Williams! Ermahgerd! There have been a few surprises. Nothing completely out of the ordinary, of course, though the decades-old box of uneaten peanuts kind of threw the contractors off for a few seconds.Three months into the first major renovation of Reynolds Coliseum since it opened in 1949, everything is on schedule. Ductwork in the hallways of the upper concourse has been removed, prepping for the first permanent air-conditioning system the old building has ever had. More than 3,000 original seats have been removed from the north end, and are currently on sale as souvenirs through the Wolfpack Club. There were a few interesting finds in the old air ducts: newspapers from the 1950s, receipts from Ice Capades shows and an Andy Williams concert in the 1960s, a program for a gay and lesbian rally in 1979 and a few more current ROTC brochures. Been pretty busy around Chez Turner. First off, right around Christmas I caught some sort of cold which sapped much of my energy for a few days. Then my stuffy nose kept me from sleeping well for several nights. But that wasn’t enough to keep me from trying to do way too much as is my habit. The changing calendar brought about the urge to knock out plenty of tasks that have been nagging us for a while. We cleaned out our attic of a ton of unneeded stuff. Then we did the same to the garage. Then we did the same to the utility room. Then we painted our dining room (after, what, six years?). Then we shifted our living room furniture around. Then we hung pictures on the wall (after, what, six years?). Oh, and I put in a charging station for our electric car. In-between, we found time to go ice skating with our friends, go on a run or two, host our kids’ friends for playdates, go see the excellent movie The Imitation Game, and even get in some music practice. I’ve also spent some time building a spreadsheet to decipher our Time of Use – Demand (TOUD) electricity rate from Duke Energy Progress. I fixed up our CR-V to sell (Armor-All, car wax, engine cleaning, photography, create an ad) and used a smartphone app and a $15 OBD2 adapter to get the car like new. I also toyed with my new RTL-SDR tuners I bought from China, capable of tuning from about 50 MHz to 2200 MHz. And somewhere in there I made time to cook a very tasty meal tonight, after I watched the second half of the N.C. State win over Duke. Life sure is busy but it’s also good. 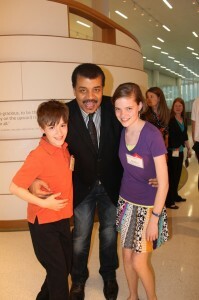 The tickling photo of Hallie and Travis with Dr. Neil DeGrasse Tyson made it to the N.C. State website. Also, you can see us pretty easily in the audience in the first photo. Pretty fun to find! NC State hosted a bona fide superstar last Thursday when astrophysicist Neil deGrasse Tyson, director of the Hayden Planetarium in New York City and host of the Fox TV show “Cosmos: A Spacetime Odyssey,” came to campus. If you’ve ever seen Tyson give a lecture or hold forth in one of his 10 appearances on the “Colbert Report,” you know he has a galaxy-sized personality and charisma to match. Both were on full display during his campus appearances, which included a roundtable interview with local media, a meeting with students in the College of Sciences and a public lecture in the Hunt Library auditorium. via Tyson Shows Star Power :: North Carolina State University Bulletin. When I got word that Dr. Neil deGrasse Tyson was going to soon be speaking at N.C. State, I was determined to finagle some tickets. It seemed to be an impossible task, since he was speaking in the tiny Hunt library auditorium and it was mainly a College of Sciences event with few tickets available to the public. Even so, through a friend with close ties to the school I found out the time that the hundred or so general-admission tickets would be distributed online. Learning that each registrant would be allowed just one guest, I got Kelly to join in my ticket quest. When that moment arrived – the second it arrived – Kelly and I were madly refreshing our browsers, waiting for a link to register for tickets. Somehow the stars aligned and both of us managed to put our names in the hat before the ticket window closed within three minutes! 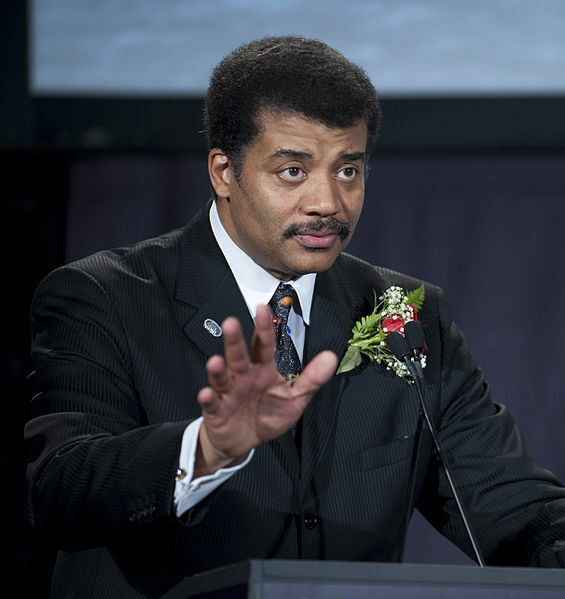 Tickets to Neil deGrasse Tyson? I got a tip from a friend that tickets would be available to the public this morning for the upcoming visit to NCSU’s College of Sciences by Dr. Neil deGrasse Tyson. I had heard there were only going to be 100 or so general admission tickets available so I knew we had to act fast if this science family had any chance to see NDT. Kelly and I teamed up to increase our chances. She and I both pounded the NCSU website as the clock approached 10 AM. Then when the “register now” link appeared, we both typed like crazy to enter our information. With my registration safely complete, I refreshed my browser to see that the registration window had just closed. Kelly and I were both successful, and we made it in the nick of time! I don’t know how NCSU will distribute it’s 100 tickets. It’s possible the school will try to accommodate its alumni first and leave us regular folk out of it. I sure hope they will honor their procedure, though, and award us the tickets that we earned this morning. Fingers crossed! Tonight Conn Elementary hosted a STEM night with the help of students from N.C. State’s College of Engineering. STEM of course stands for Science, Technology, Engineering, and Math. Multiple stations were set up around the school cafeteria where Conn’s students could perform experiments and learn more about science and engineering. I took Travis and Kelly volunteered. We all had a blast! My parents joined our family tonight for dinner at Tobacco Road Sports Cafe, as the Wolfpack were in the 7th inning against Rice. The company and food were outstanding and so was the Wolfpack win! Check out these amazing highlights!